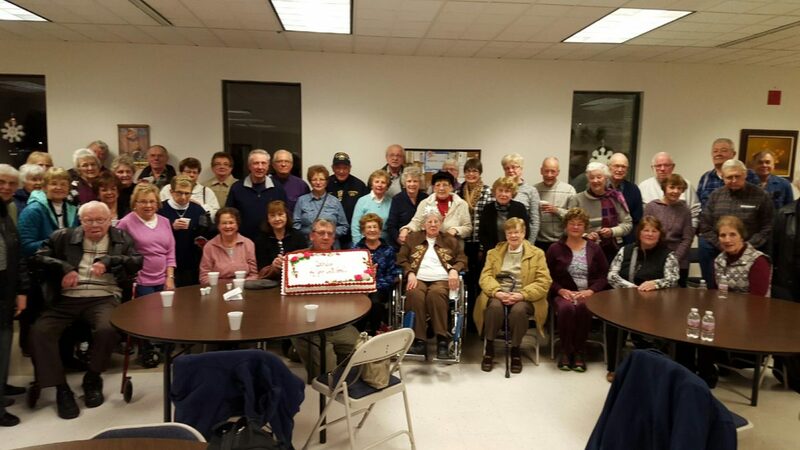 Shirley Bird and some of the Franklin Senior Travelers at her retirement party on January 19, 2016. Shirley Bird is the pretty lady in the center of the photo wearing a crown! Her son, Tom, is holding her retirement cake. The Franklin Senior Travelers is a one-of-a-kind partnership between the City of Franklin and volunteer residents living in Franklin. The program started in early 2002 when Alderman Basil Ryan made a motion to start a travel program for our senior community. This started the successful partnership which has continued to this date. The first volunteer travel director was Shirley Bird. She volunteered her time to run the program from 2002 until 2015. Always assisting Shirley, but staying the background, was Basil Ryan. After Shirley’s health got the better of her, she turned over her travel director duties to Basil. He continues to run the Franklin Senior Travelers program. Franklin seniors have traveled extensively throughout Wisconsin and northern Illinois. They have ventured as far as the Mississippi River for a boat cruise. We welcome anyone over the age of 55 years young! Please join us for a day of fun, entertainment and new friends. Franklin seniors choose and pay for their destination. The City of Franklin pays for the bus transportation. You can’t go wrong!